2/10/09 Some selective color for you today. 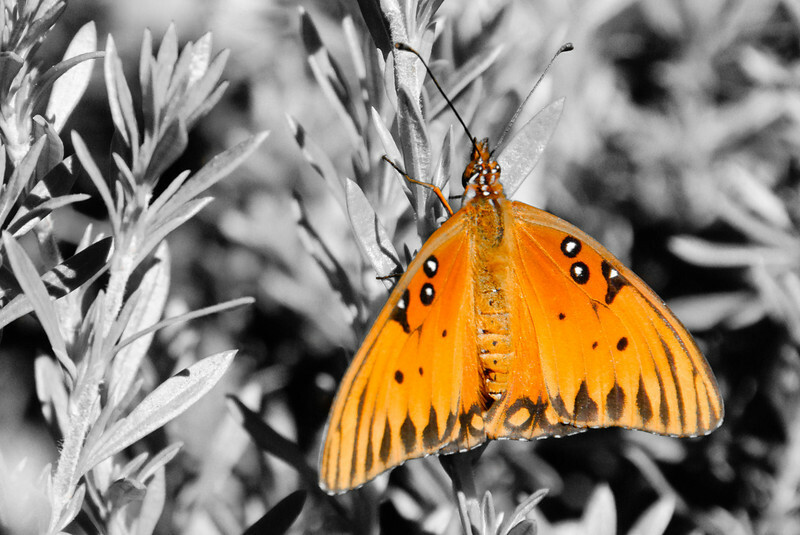 This lovely orange butterfly was in the botanical gardens, and let me get very close to it. Not as close as my 1/30 daily photo of the same insect, but still pretty close for a butterfly. Some sort of fritillary, I'd guess. Great photo. Great shot and very well done with the sc! Beautiful selective colorization, very well done! Beautiful shot and love the sc!